748 Main st./ 214 Northside Dr.
Jon E. Suds is a a community-based laundromat. We're dedicated to providing cleanest and best-stocked facility possible. We have washing machines in a variety of sizes to handle even your biggest loads and enough dryers to guarantee there will always be one when you need it. We're fully staffed with a team of friendly and knowledgeable Customer Service Representatives who are here to help any time you have a question or need help. 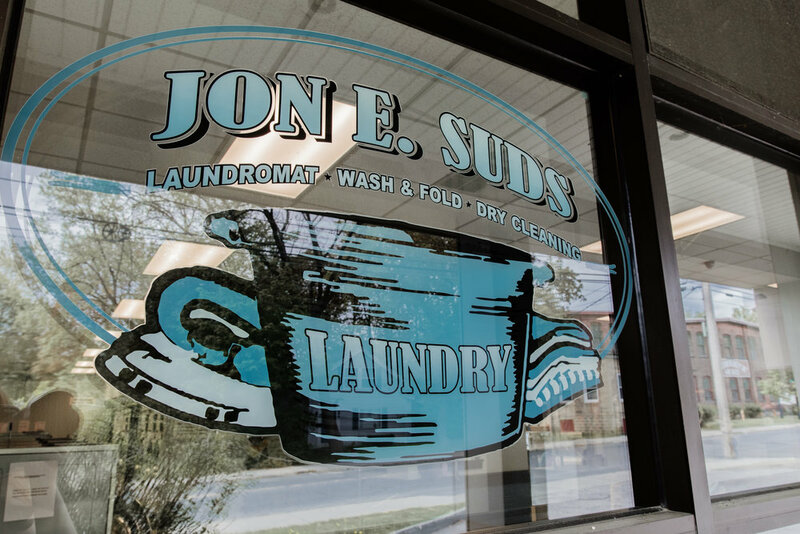 Jon E. Suds offers so much more than just washers and dryers. We also offer Wash N' Fold, Dry Cleaning, Laundry Pickup and Delivery Service. We offer commercial laundry services to local businesses from spas and gyms to hotels and medical facilities—including free pickup and delivery with every commercial order.